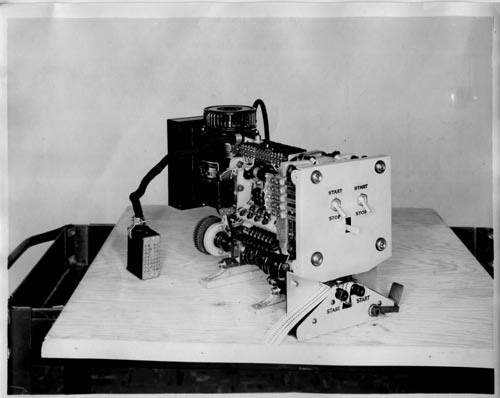 B&W image of Tape Reader Tape Distributor. It is shown with covers off. Visible are the motor, perforation mechanism and cabling. It is mounted on plyboard. Verso: "KIienschmidt Laboratories Tape Reader Tape Distributor Test Model"